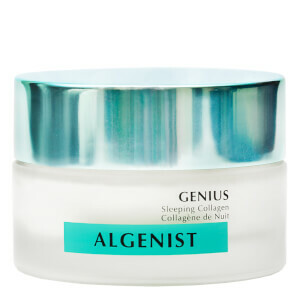 The ALGENIST Genius Ultimate Anti-Ageing Cream utilises advanced anti-ageing biotechnology to leave skin looking visibly younger, with the appearance of fine lines and deep-set wrinkles smoothed away. 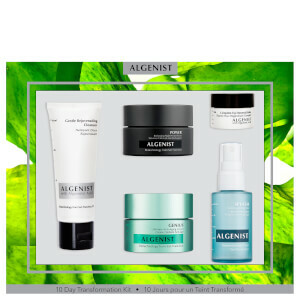 The pioneering formula is the first of its kind to combine Alguronic Acid, a patented anti-ageing ingredient, with a new, sustainably sourced Microalgae Oil, a patent-pending, plant-based collagen, which work in synergy to enhance skin resilience and elasticity levels. Even the most fragile skin appears strengthened and replenished, with the look of fine lines and wrinkles visibly reduced. Facial contours are nourished and revitalised, with your complexion left feeling toned, firmer and tighter. Suitable for daily use, the rich, luxurious face cream effectively reverses the impact of time on skin to impart an age-defying radiance. After cleansing, apply to the entire face, neck and décolleté, avoiding the eyes. 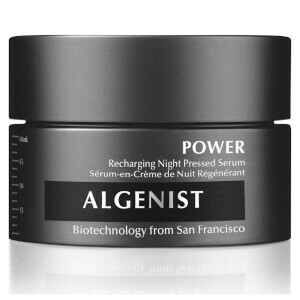 For optimal results use after your usual serum. Use only as directed. Water (Aqua), Caprylic/Capric Triglyceride, Hydrogenated Polyisobutene, Glycerin, Chlorella Protothecoides Oil, Dimethicone, Butylene Glycol, Glyceryl Stearate, PEG-100 Stearate, Butyrospermum Parkii (Shea) Butter, Pentylene Glycol, Potassium Cetyl Phosphate, Algae Exopolysaccharides, Vegetable Collagen, Ceramide 3, Cynara Scolymus (Artichoke) Leaf Extract, Retinyl Palmitate, Astragalus Membranaceous Root Extract, Atractyloides Macrocephala Root Extract, Iris Florentina Root Extract, Bupleurum Falcatum Root Extract, Methyl Glucoside Phosphate Proline Lysine Copper Complex, Stearalkonium Bentonite, Acrylates/C10-30 Alkyl Acrylate Crosspolymer, Silica, Caprylyl Glycol, Sodium Hydroxide, Disodium EDTA, Ethylhexylglycerin, Cetyl Alcohol, Propylene Carbonate, Phenoxyethanol, Leuconostoc/Radish Root Ferment Filtrate, Chlorphenesin, Fragrance (Parfum), Coumarin. Just finished my first jar which came with my "Easter Egg". 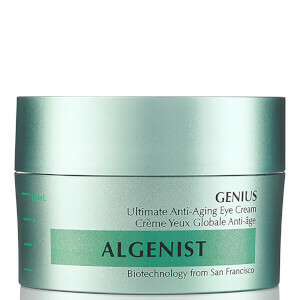 Amazing product and brilliant to find something which is genuinely anti-ageing. Many compliments received about my complexion and it can only be because of this product.